Calling all Hokie Volunteers!!! Come out and help keep Charlotte beautiful! We will be having an Adopt-A-Street Service Project on Saturday, June 22nd before our Annual Picnic. The Virginia Tech Charlotte Chapter Alumni Association has adopted a mile long stretch of road near the Villa Heights Community that we will remove trash/debris from. 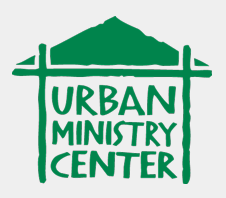 Another Volunteer Opportunity is available with the Urban Ministry Center! The Urban Ministry Center serves as a point of entry to services offered by a network of agencies that work closely together to provide necessary opportunities for the Charlotte homeless population. We will help with landscaping/painting/deep cleaning on June 22nd before our Annual Picnic..
Where: Volunteers will meet at Urban Ministry Center, located at 945 North College St.